Empowering the Filipino children through education and values formation are just some of the aligned visions of Bantay Bata 163 and LAO Foundation. In Photo: (L-R) Cristina Viray, Program Specialist of LAO Foundation, Jonas Paul Alfaro, Executive Director of Lao Foundation, Noemi Samson, Chief Finance Officer of ALKFI and Sheila Estabillo, OIC of Bantay Bata 163. 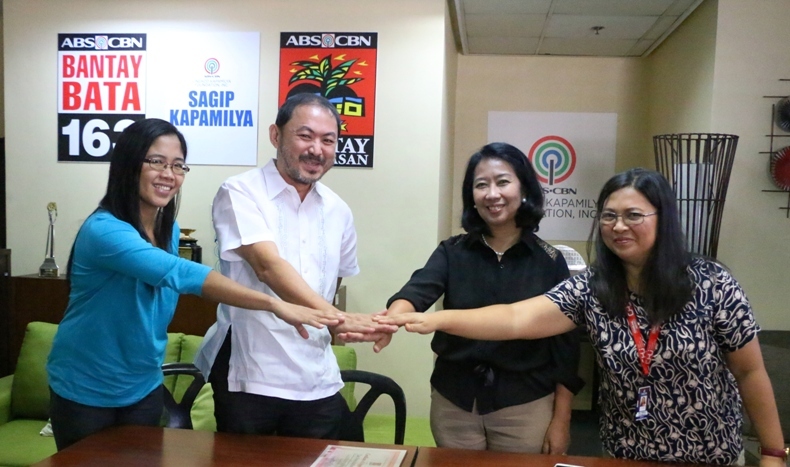 Six deserving students will receive a gift of education as LAO Foundation recently inked a memorandum of agreement with ABS-CBN Lingkod Kapamilya Foundation’s Bantay Bata 163, Bantay Edukasyon project. Believing in Bantay Bata 163’s advocacy, the said Foundation is eyeing to help more children through Bantay Edukasyon. The program expressed its gratefulness while upholding its mission to be of service to the Filipino children.